Hairdressing scissors All types Ordered before 8 pm, delivered tomorrow! 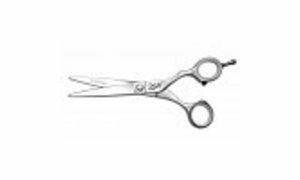 In our range we have hairdressing scissors for the beginning hairdressers, but also professional hairdressing scissors for advanced hairdressers. 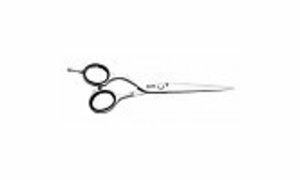 Our range consists of various scissors and knives, such as a coupe scissors, hairdressing scissors set, right-handed and left-handed hairdressing scissors . In addition, you are of course in the right place with us for other tools , such as hair clippers and trimmers. Every haircut is different and therefore the right cutting shears and coupes are very important. A good cutting technique can only be carried out properly with the right hairdressing scissors. For great comfort, therefore, you should also pay attention to whether it is a left-handed or right-handed hairdressing scissors . This allows you to cut, cut, slice and smooth layers perfectly. Everything for a beautiful hairstyle! Quality scissors are often an investment and that calls for excellent quality. The professional scissors from Jaguar will not disappoint you in that case. The super sharp hairdressing scissors are made of high quality material. The ergonomic handle makes cutting and slicing of hair with great ease of use. The ergonomic design also ensures a relaxed working posture and prevents injuries and joint pain during the treatment of the hair. 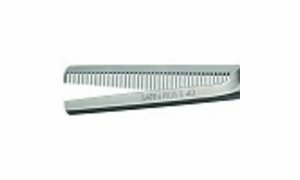 When you are looking for a good Jaguar hairdressing scissors you will discover that the range is very large. 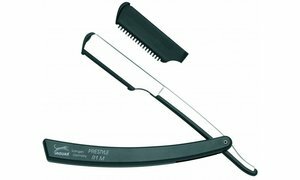 A number of popular cutting shears are the Jaguar White Line Satin Plus , Jaguar Pre Style Relax and Jaguar White Line Silver Ice . Looking for a Jaguar thinning shear? Take a look at the Jaguar White Line Pastell Plus ES 40 . 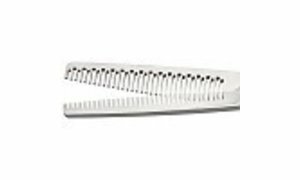 This thinning scissors has 40 effilt teeth with the finest possible prism resistance for a pleasantly soft feeling when cutting. Jaguar has a number of lines in their collection hairdressing scissors, namely the Jaguar gold line diamond, black line, white line JP and Jaguar silver line. The latter silver line is limited edition because of the great design. The pink line is also fantastic. Take a look at the Jaguar Pre Style Ergo Pink scissors set. The set consists of a cutting shears and an effile scissors. The scissors can also be ordered separately, but if you order them as a set, you will benefit from an extra competitive price. As a professional hairdresser, a number of accessories are very useful. While you're cutting, it's nice to have all your scissors at your fingertips. This can be done by means of a tool belt or holster around your waist. This allows your haircut scissors , cutting scissors, thinning shears and kappersmes all keep together. If you work as a mobile hairdresser and people come home, it is also useful to have all your needs together. 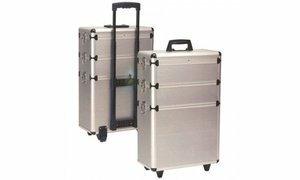 That is why we have various suitcases and bags from Sibel and Jaguar in our range. Here you can store your scissors set and other hairdresser products . Need advice about the perfect hairdressing scissors for you? Our range is large and that is why we sometimes find it difficult to make a choice between the many hairdressing scissors, because which fits well with you? That is why we are always happy to help you choose the right hairdressing scissors. Feel free to contact us by calling our customer service! We want to offer our customers a good service and that results in a fast delivery! Did you find the products you were looking for? When you order your hairdressing scissors before 22:00, tomorrow at home! 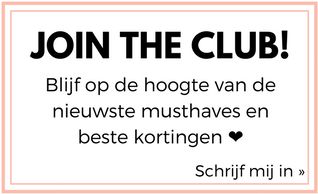 In addition, you receive a gift with an order over € 45, - and you can always pay safely by means of the well-known payment methods. Do you have any questions about our service? Then read our frequently asked questions, perhaps you will already find the answer to your question here. We wish you much fun with your new hairdressing scissors!